A very nice budget smartphone. Upgradable to Android M. No other smartphone at this price provides such specs. Nice Camera & Sleek Look & Light weight! Battery rarely last entire day. Sometimes the phone heats up using 4G. 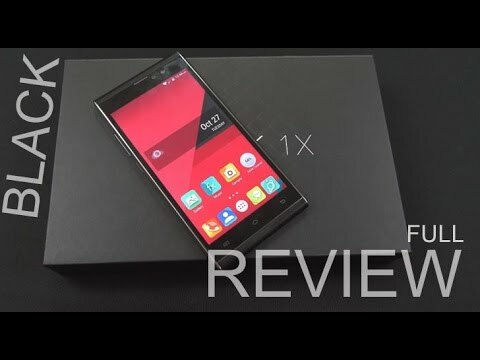 2 Pricebaba users have written their experience with Xolo Black 1X. If you own Xolo Black 1X, please do leave your feedback too. Lowest price of Xolo Black 1X price in India starts at Rs. 9,999 Xolo Black 1X is available on Amazon at Rs. 9,999. Prices updated on 26th April 2019. The Black 1X has a 5 inch display with a Full HD Display (1920 x 1080 pixels). The resolution is perfect for a phone at that price and the other specs make it a good phone for the price. The phone screen also features Asahi Dragontail Glass for protection which is considered to be on par with some Gorilla Glass for protection. The processor is a MediaTek 6753 which is an Octa Core chip clocked at 1.3 GHz. The device has 3GB of RAM to aid the processor. At the back is a 13 megapixel camera with Phase Detection Auto Focus (PDAF) which has a focus time of 0.15s. There is an LED flash and the phone can record videos in Full HD resolution. The front has a 5 megapixel camera also has a flash and is capable of video chats and video recording. The phone runs on Xolo's own Hive UI on top of Android 5.1 Lollipop. The smartphone has 32GB of onboard storage that can be expanded to 128G using the Hybrid SIM slot. The battery is rated at 2400mAh that can be considered a little small considering other phone in the same price range have a much bigger battery. The phone also supports USB OTG functionality.